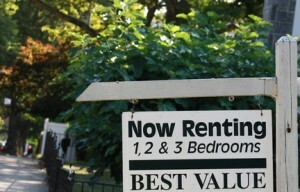 Finding the right tenant is key to building a successful rental business. At the same time, identifying that person quickly is the difference between profit and income loss. What could possibly be easier than having prospective renters contact you prior to your next vacancy? It’s easier to achieve than you might realize. The trouble with advertising a vacancy, especially online, is that you increase the number of applicants without necessarily improving the quality. That actually makes your job harder. However, if you have good tenants, and they recommend their friends, then you begin the tenant screening process with a highly-targeted pool of qualified applicants. Some landlords have devised incentive programs for tenants that might include cash back or similar gifts. However, you can generate referrals cost-free simply by providing good service. Tenants want to be surrounded by their friends, family and others in their community. Let your good tenants know you appreciate them and that you’d love to speak with their referrals. Stay in touch. If your tenants are happy, they’ll help out when they hear about an upcoming vacancy. But don’t just take someone else’s word for it. It’s important to run tenant background checks on applicants under final consideration to verify they’re as qualified as their friends believe. A related strategy is to encourage online reviews and ratings. While not as targeted a demographic, online apartment seekers rely heavily on ratings and reviews. The best tenants are attracted to the best properties. If your reputation is positive, it’s possible you won’t have to advertise — good tenants will find you. It’s pretty low-tech, but that simple act of putting up a sign may be all it takes to find the right tenant. Why? Because it will attract the applicants who are interested in the specific neighborhood. Someone with a connection to the community may be the perfect tenant for your property, because they’ll appreciate what they have. There is a risk, however, when posting signs: the drop-in applicant. Make it clear that showings are by appointment only, and prequalify prospective tenants over the phone. Check a photo ID, preferably off-site, before allowing a property tour. Drop-ins not only increase your chances of meeting a problem tenant, but also are a safety concern. Online ads are both a blessing and a curse. On of the one hand, it’s easy to turn up the volume and solicit a huge number of rental applications. At the same time, this method attracts the highest number of unqualified renters. Be clear and specific when describing the property, along with any rules that will be used in screening tenants. For instance, don’t say “prefer non-smoking” if you are going to reject smokers outright. That will only encourage unqualified applicants. Likewise, state in definitive terms that you will require a tenant background check, and you may discourage applicants who don’t believe they will pass. It’s one thing to advertise online, and quite another to lease the property online. Anonymity of applicants is a landlord’s worst enemy. That problem is compounded when using online rental applications and lease agreements. Personal communication with rental applicants is a must. Rather than using email or online forms that anyone can access, list a phone number and speak with the applicant first. A phone call to discuss the rental unit provides the opportunity to prequalify applicants and to properly begin the tenant screening process. Meet the tenant in person at a safe location before showing the property. Ask for a photo ID. Make sure the person answers basic questions the same way each time. Offer access to your rental application only after the person is prequalified to save your time — and the applicant’s time. Also, use only forms that have been vetted for your specific property and needs. Much effort goes into building the proper landlord forms, so don’t default to generic online forms offered as an ancillary service. Always run your own tenant background check on your finalist, following your own tenant screening policies. Ask the tenant to sign the lease agreement in person. The lease is of lesser value if the tenant doesn’t realize what’s in it. Go over the rules, answer any questions, and provide enough formality at lease-signing for the tenant to realize they’ve made a legal commitment.